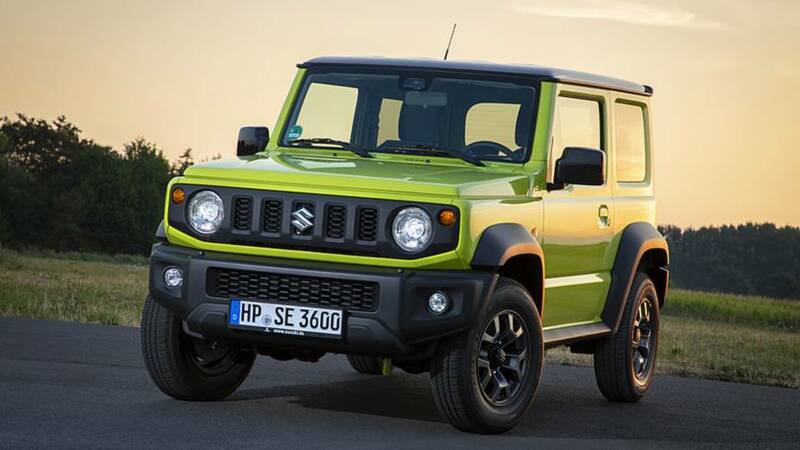 This is the new Suzuki Jimny. Huge off-road competence in the loveliest packaging man has ever witnessed. Its ancestors are legends of the off-road park/forest/communal snow plowing service. Its direct predecessor has been on the market since 1998, and has enjoyed great popularity for 20 years, and this is not solely due to a massive lack of competition. The fact that, after two decades, a sequel has finally been plunged into mud, puddles, and terrifying obstacles doesn't mean that the basic structure of the little rascal has changed much. 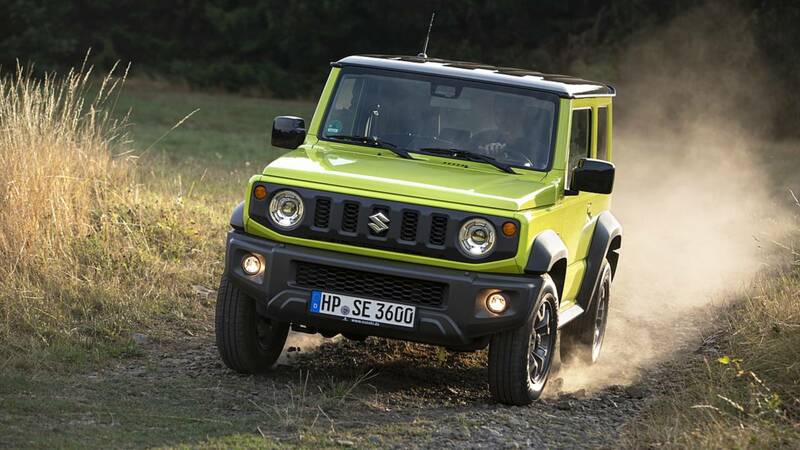 Suzuki knows its audience very well and has made the new Jimny as "old school" as possible. This isn't a city-SUV marketing-mobile but a real (even if very small) 4x4 for people who have to rely on their car even under the most absurd conditions. The substructure is still a rock-solid ladder frame, which is now one-and-a-half times as stiff as before. In addition, there are rigid axles with trailing arms, Panhard rods and coil springs as well as an selectable all-wheel drive with off-road reduction. An adapted electronic traction control system serves as a differential lock replacement at the front and rear. Sounds Much Like The Real Thing. And It Does Look The Part, Doesn't It? That's right. 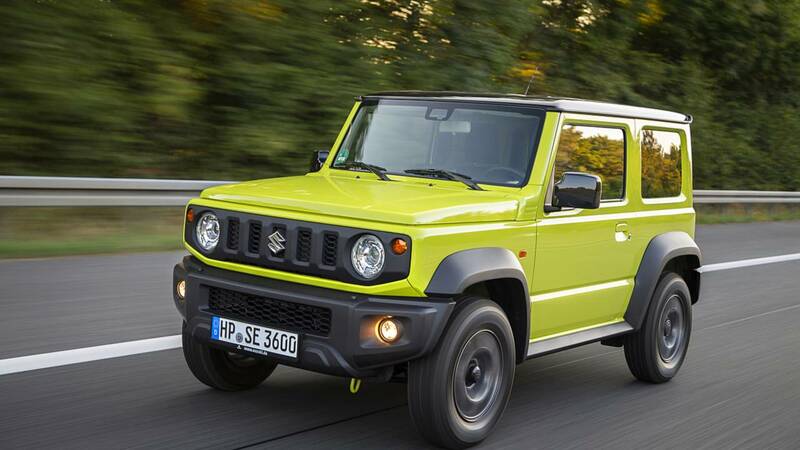 Suzuki resisted the temptation to turn the Jimny into another faceless crossover softie. And you can take that literally, because for all its "Honey, I've Shrunk the G-Class" look, the scarce off-roader looks so cursedly gorgeous that you won't forget it for sure. Suzuki simply has a knack for great small car design. The Ignis has already enchanted our eyes and hearts, and the new Jimny is in no way inferior to it in all its boxy heartiness. 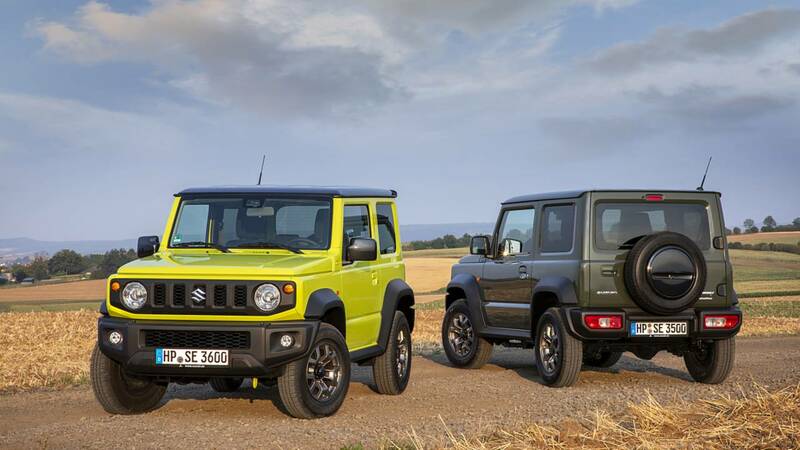 The mix of styles from his ancestor, the Suzuki LJ10, and a kind of micro-G-Class image makes the Jimny almost timeless and classless. 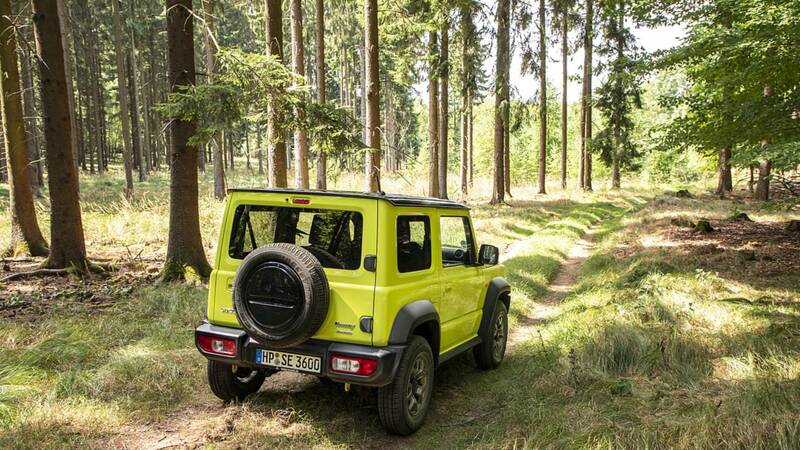 With a length of just 11.9 feet (3.65 meters) – without the spare wheel it's only 11.4 feet/3.48 meters – and a wheelbase of 7.4 feet (2.25 meters), the fourth-generation Jimny stays at pretty much the same level as its predecessor. Details like a kind of rain gutter around the roof (again from the G-Class with love) or individually exchangeable headlights and turn signals show quite well the attitude of this car. It remains a workhorse for professionals and price-conscious off-roaders. The increase in slope and ramp angles as well as 0.6 inches (15 millimeters) more ground clearance provide even more cross-country competence. The total is now 8.3 inches (210 millimeters) – more than respectable. 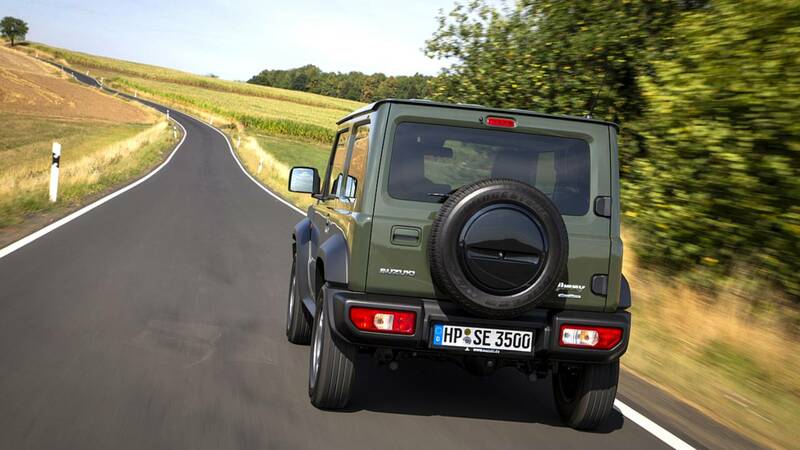 If you expected a modern three-cylinder turbo or something similar, then this mini G-Class will once again surprise you. The power unit is, in fact, a new 1.5-liter naturally-aspirated petrol engine. Because of engineering witchcraft, it's smaller and about 30.8 pounds (14 kilograms) lighter than the old Jimny's 1.3-liter engine, but delivers 18 horsepower and 15 pound-feet more, bringing the total to 100 hp and 95 lb-ft.
Why not a smaller, turbocharged engine that could score more torque off-road? Well, for simplicity, of course. It's a workhorse that has to function all over the world, no matter how thin the air or how bad the fuel. The new 1.5 petrol is simple, robust and frugal. And that‘s all it has to be. A five-speed manual transmission is standard, a more rustic four-speed automatic is available for an extra charge. Suzuki says it's capable of 90 miles per hour, but it doesn't quote a 0-62 mph time. Why they don‘t, I do not know. There is nothing to be ashamed of with this powertrain. Sure, the Jimny isn't a sprinter, but thanks to a weight of just 4,188 pounds (1,090 kilograms), it's also possible to make good progress with this rather old-world way of developing power. If you want it to get going, you just have to rev the thing properly. An action it acknowledges with a pretty loud four-cylinder roar. Wind noise is also always quite noticeable, but you can still converse with passengers at higher speeds without having to raise your voice too much. The transmission is very positive. The extra-long gear lever with its consertina-style gaiter looks like 1982, but it no longer wobbles around like crazy and the gears engage very cleanly and crisply. A sixth gear would still be desirable from time to time, though. At 60 mph, the engine's turning over 3,000 times per minute in fifth gear. 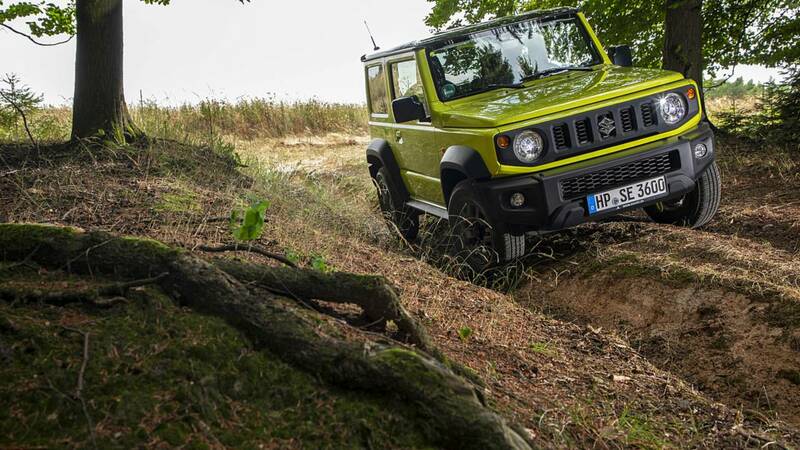 The driving experience in the new Jimny is like a journey into the past. Only better. What does that mean? Well, you will immediately notice a lot of '90s city car vibe from behind the wheel. The super-simple interior with slightly-too-cheap plastics (which create a pretty gruesome odor, by the way), the boxy shape with the huge windows and the great all-round view, the somewhat rough charm of engine and chassis, and all the mechanical noises, the steering, which has more play than a wobbly milk tooth... it's a bit like you're in a current Lada 4x4. Only that the Lada, with all its shortcomings, drives normal people crazy within seconds and the new Jimny just doesn‘t. Yep, it's terribly indirect, it wobbles a bit more than you'd like and your cornering speeds won't usually be very high. But who cares about that in this kind of vehicle? Especially because so many other things appear to be fine with the new generation. The bowling ball-esque "suspension comfort" of its predecessor is a thing of the past, despite the same tiny wheelbase. The new Jimny is really comfortable. Oh, and because they've installed a new steering damper, the steering wheel no longer vibrates like a shabby motel bed with a coin slot. And although it still wants to be seen as a tough off-roader, it is now also much more of a real car. With active (emergency) brake support, fatigue warning, high-beam assistant, lane departure warning and traffic sign recognition, it has a relatively decent repertoire of assistance systems on board. 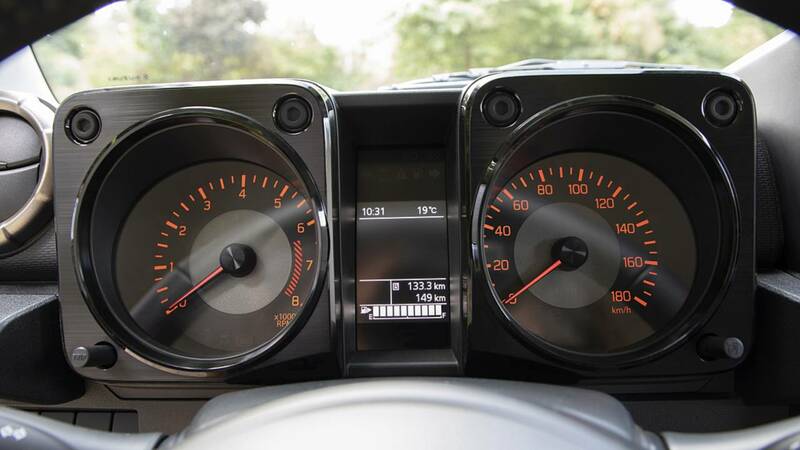 It also gets Suzuki's pleasantly good navigation infotainment system with smartphone connection, which admittedly looks a bit funny in this cockpit. It's like an LED billboard in an Amish village. Other equipment highlights include automatic climate control, LED headlights, cruise control, heated seats, electric exterior mirrors and a height-adjustable multi-function steering wheel. The best mix of modern classic charm and modern compact car, if you like. That also applies to the driving. It's not really polished, but it doesn't feel old either - rather reduced to the essentials. 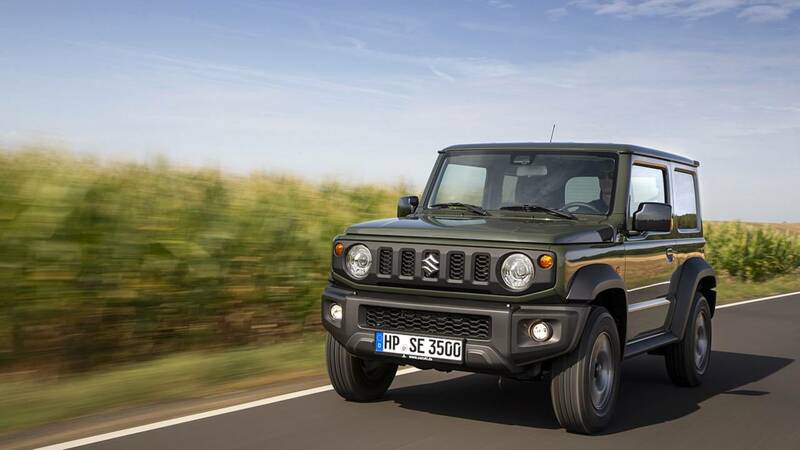 It is never really too slow, and thanks to the relatively narrow 195 tires and the high body you can experience long-forgotten joys on the road: It doesn't take much speed to let the Jimny fly around the bend. A pleasantly simple, likable, fun car. With road manners that you can definitely live with. Especially when you consider what a show the little box will put on as soon as you run out of asphalt. Ah Right, What Is It Like Off Road? As expected, absolutely fantastic. 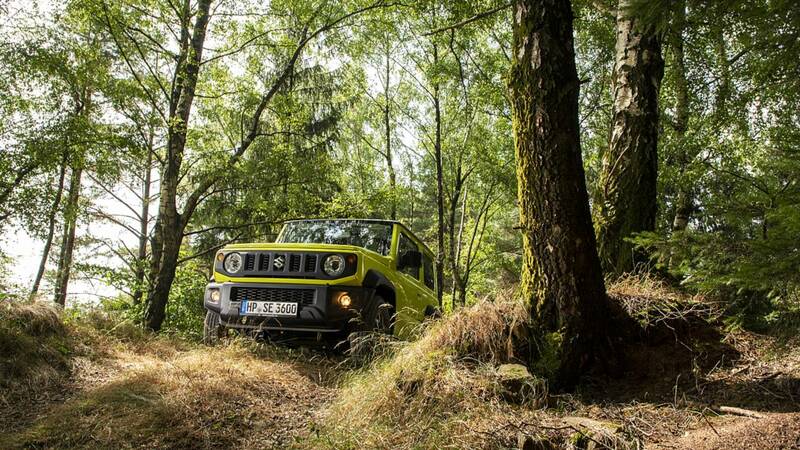 Well, our test track wasn't the Rubicon Trail, but the Jimny mastered the stage in a quite challenging part of a German forest without getting in any noticeable trouble. It‘s advantage has always been that, thanks to its stature, it can easily rattle around places that larger off-road battle cruisers would have long since sunk in or got stuck in. This has not changed with the new edition. It hops through the undergrowth with delight. Pull the small lever behind the large gear stick and the front axle engages. When the terrain starts to become nastier, push the same lever downwards and backwards and the off-road gear ratio interferes. Now the Jimny hauls itself almost automatically through the rough stuff. Further little helpers are a downhill driving aid and the new uphill driving aid, which can be activated simply by pressing the brake pedal for a while. Then the brake pressure is applied to all four wheels for seven seconds and you can drive up steep terrain without a problem. The rest is done by the extremely short overhangs and the relatively massive ground clearance. In this class there is nothing comparable. A Fiat Panda 4x4 is of course also very capable off-road. But it doesn‘t quite match the new Jimny‘s qualities. 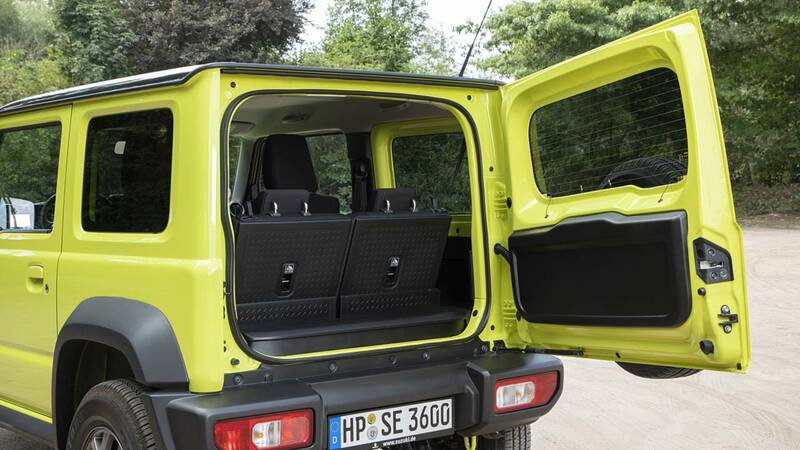 Funnily enough, the new Jimny also looks like a miniature version of the new G-Class on the inside. The ventilation nozzles, the attached screen, the grab handle in front of the passenger... it reminds me a lot of the Stuttgart icon. Only without the cabin quality. 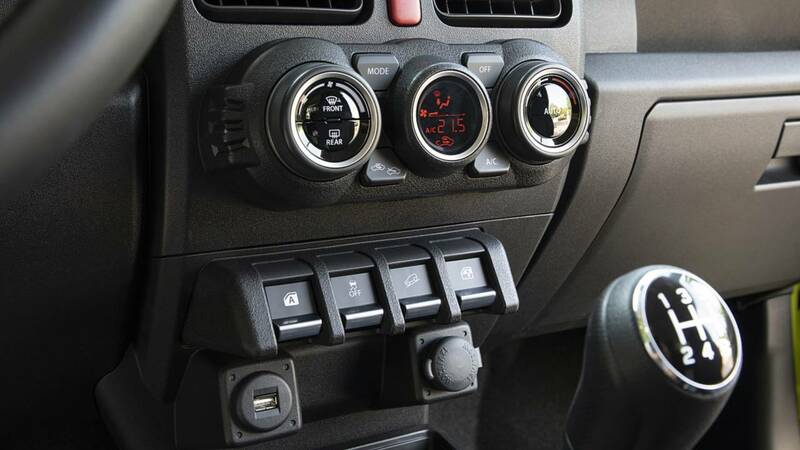 The Jimny interior is cheap and maximally optimized for its purpose. That doesn't mean it's bad. Operation is child's play and everything is designed so that it can also be operated with gloves on, which is a neat touch. The passengers can enjoy 1.8 inches (4 centimeters) more interior width, which means that you can now take a seat even if you're not madly in love. And when you do climb aboard, you sit on sufficiently large, surprisingly comfortable chairs. At the back it is, as expected, less homely. Leg and headroom wouldn't even be that great a problem on short journeys, but try traveling further afield with only one half of your backside resting on the seat and the other on some cheap plastic. In addition, the backrest of the rear bench is so tiny that it stops way before backs of averagely grown adults end. As far as the boot is concerned, Suzuki has good news. With the rear seat folded, it grows by 1.9 cubic feet (53 liters) to 13.3 cubic feet (377 liters). But much more importantly, the sides have been pared back and the maximum loading width has been increased from 36.2 (92) to a rather fabulous 51.8 inches (130 centimeters). So don't tie the wild boar to the tow hook on your next hunting trip, just throw it in the back. And don't worry, the Jimny load area is washable. Unfortunately, though, the completely flat loading floor is only available in the more expensive Comfort+ trim level. Due to a lack of serious alternatives, there's hardly anything else left for you anyway. 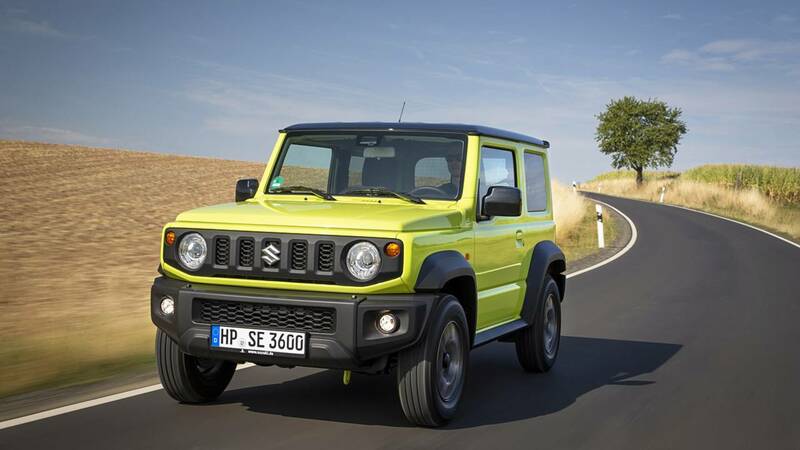 But seriously, the new Suzuki Jimny is a solid, honest and very likable vehicle, which is still a hoot off-road but offers much better road manners and modern safety/infotainment equipment. Moreover, it looks absolutely glorious – and I don't think I'm alone in holding that opinion. If you're looking for that kind of vehicle, you'll probably be able to cope with a lack of fine-tuning, pretty cheap materials and rather rustic driving dynamics. And to all the people that buy the Jimny because they think it's cool (according to Suzuki that's a good 30 percent by now) I can only say: Yep, that's exactly what it is. It's far from perfect, but it's certainly cool. Suzuki has shown us how you can build a (relatively) modern car without selling your soul to the marketing devil. Prices are yet to be announced, but the new Jimny is expected to cost around £16,000 in the U.K. The tiny 4x4 won't be available in the U.S.